But beyond the celebrity factor, this story highlights an important question about the future of religion: What should happen to hallowed buildings left empty not only by the decline of nuns but also by the rise of religious “nones,” those who don’t identify with religion? Similar fights over property and the proceeds of sales take place when denominations close declining churches. “A church that served as base of operations for a day program for homeless adults and at-risk youth will now be marketed as housing for the wealthy,” a Boston Globe columnist wrote in reaction to the plan, capturing many people’s uneasiness with such a transition. LA Times columnist Steve Lopez, who broke the news of the Perry-sisters-bishop fight, focused on the sisters’ disapproval of Katy Perry. They were not impressed, he wrote, when they saw her sing, “Let you put your hands on me in my skin-tight jeans,” during the Super Bowl halftime show. In wake of declining numbers, some churches are becoming community arts centers, renting space out to non-profits during the week. In Los Angeles, the Pico-Union Project provides a home for multiple congregations—Jewish, Christian and Muslim—that couldn’t sustain a building on their own. It’s housed in the original Sinai Temple, which served as a Presbyterian church for 88 years. Nathan Marion, who helps churches redefine their spaces in Seattle, says that such arrangements align with the mission of churches, helping them survive despite falling numbers and meet a need among the un-churched. “Having a place where people can connect and be in a community where they feel welcome and as safe as possible in a public event, I think that’s really important, and it’s missing in a lot of people’s lives,” he told Religion Dispatches. Other Catholic volunteer programs allow young women to live with sisters while serving their community for a year or two. Non-profit organizations generally pay the volunteer organization to support the young people’s living expenses in exchange for their service. 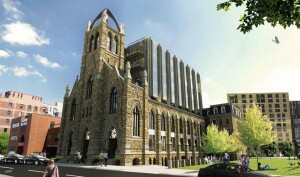 In the Los Angeles dispute, Hollister denies the archdiocese claims that she wants to transform the former convent into a hotel and restaurant, saying she doesn’t have plans for the property yet. But if Perry wins, it’s unlikely to become a shelter for the poor either. 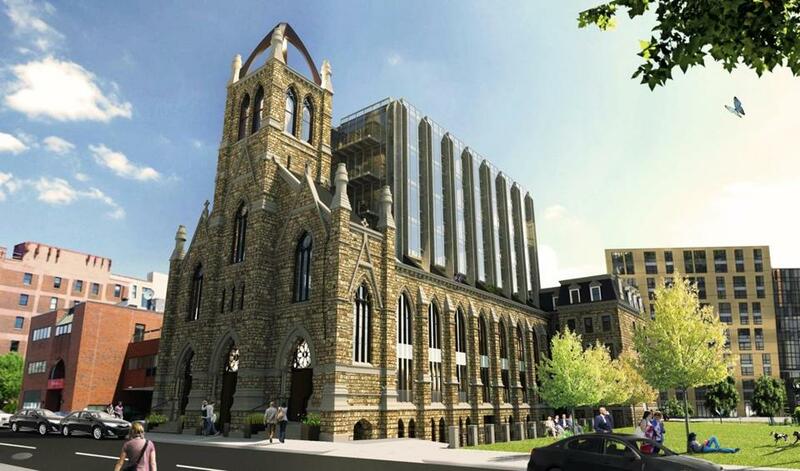 The proceeds from the convent’s sale could be invested in another ministry, but both the sisters and the archdiocese also could think creatively about what the space could become.